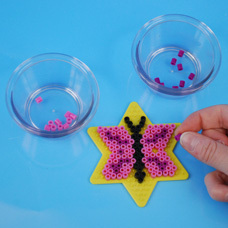 Use colored Melty Beads on a star shaped pegboard to create a fused butterfly design. 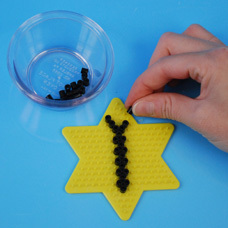 Lay black Melty Beads on star shaped pegboard to create butterfly body and antennas. 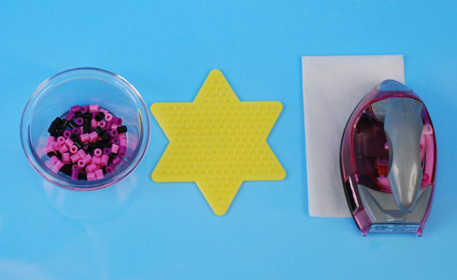 When working with Melty Beads, you do not always have to use all the space on the pegboard. Just make sure each peg is touching as least one other peg. 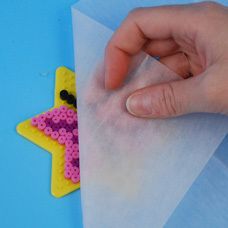 For more tips on Melty Beads, click here. 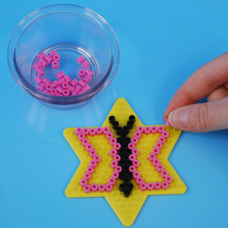 Lay pink Melty Beads on board as shown to create the outlined shape of the butterfly. 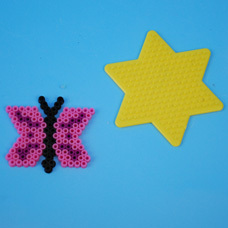 Lay pink and purple Melty Beads inside butterfly shape created. Make any pattern you desire, but to keep this true to a butterfly’s design, try to make a mirrored pattern on both wings, just like the version shown. Place the ironing paper provided in the kit over the beads and pegboard. Have an adult use the iron to melt the beads together. Move the iron over your design for approximately 15-20 seconds until the beads have melted together. Set pegboard aside to cool. 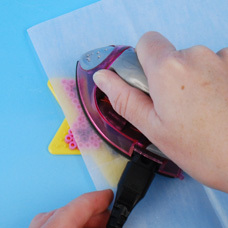 Once cool, peel the ironing paper from the beads. Remove butterfly from pegboard. 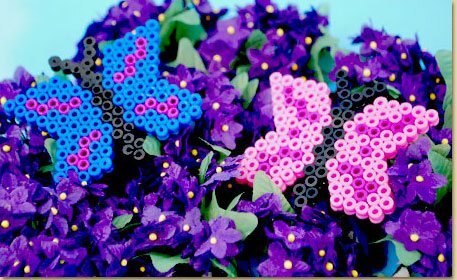 You have now made a pretty Melty Bead Butterfly to help welcome the spring season!